← 2011 MLB Wild Card: Conspiracy Theorists Unite! Friday marks the 10-year anniversary of Brady’s first NFL start. 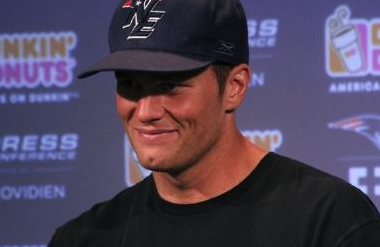 Asked about the moment, Brady suggested — then proved — he honestly couldn’t remember the details of that game. This entry was posted in Football, NFL and tagged Bieber Tom, Brokeback Tom, Doppelganger, Doppelganger Time, Dumb and Dumber, Gibbler Tom, Justin Bieber, Kimmy Gibbler, Tom Brady, tom brady hair cut, tom brady hair., Tom Brady is Kimmy Gibbler. Bookmark the permalink.